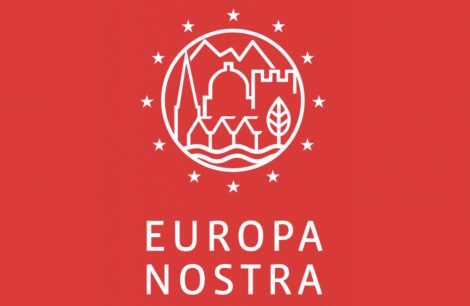 The EU Prize for Cultural Heritage/Europa Nostra Awards 2016 in the category ‘Outstanding achievements in the conservation, enhancement and adaptation to new uses of cultural heritage’ goes to Museum Oud Amelisweerd. The jury hails the way in which the country home has been restored and readapted. 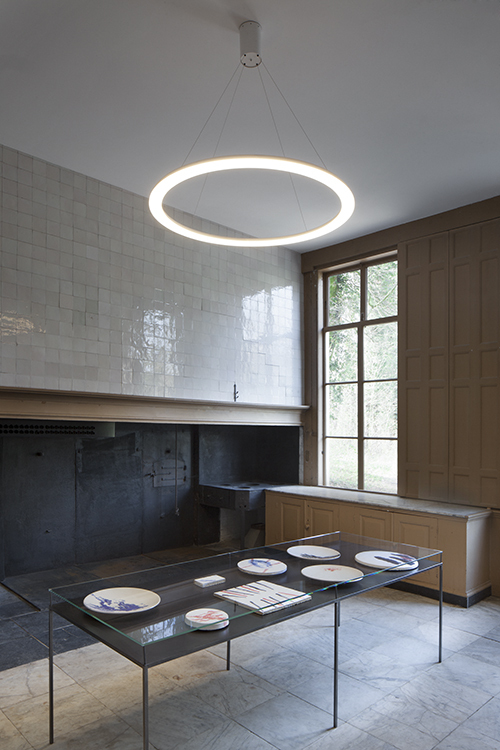 Soda and restoration architect Krijn van den Ende (BBOR) have taken the monumental building as a starting point for their intervention. The jury praises the outstanding conservational and museological aspects of the project all through. 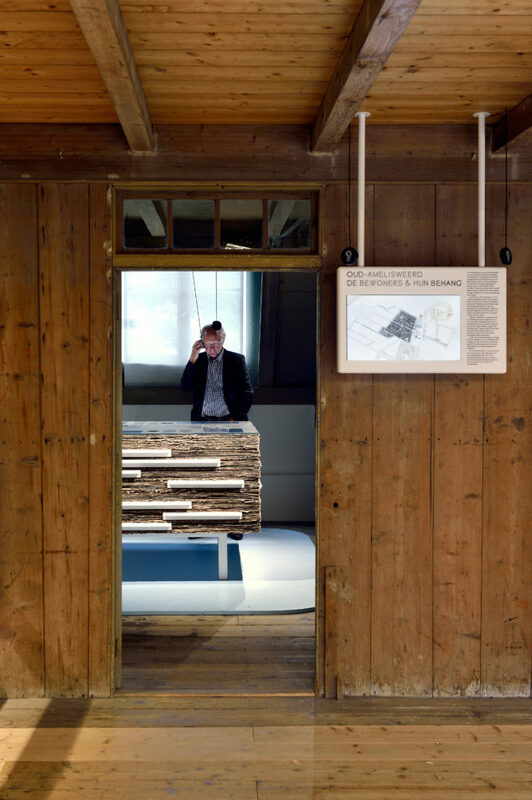 'The didactic quality of the museum is discreet yet assured and the quality of the exhibition material is excellent”. “The modern additions to the historical setting, such as the Modern art, are well incorporated. The monument itself is of great importance and the authenticity of the 18th-century residence has remained intact thanks to the care and attention that the conservators paid to every detail”, the jury emphasized. 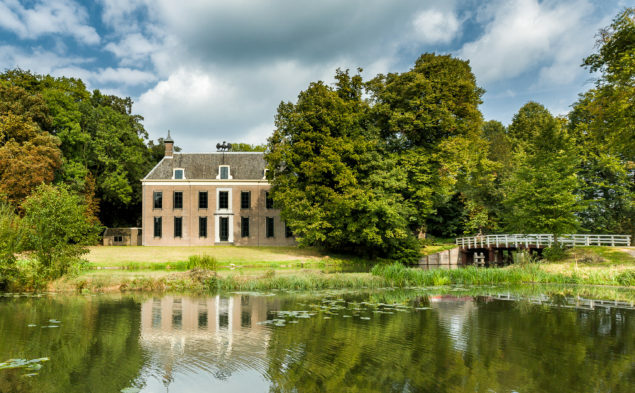 Oud Amelisweerd was built in about 1770 by Baron Godard Taets van Amerongen. 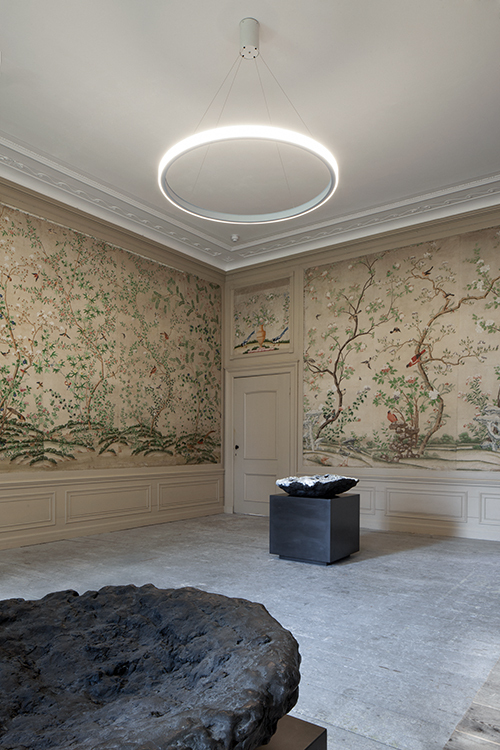 Chinese wall coverings were transported to the Netherlands in ships of the Dutch East India Company to decorate the inside walls of this summer residence. Flowering shrubbery and birds, a hunting scene and a dragon boat festival expressed the 18th century ideal of Nature as a symbol for the true and good. Later residents, such as King Louis Napoleon and the Bosch van Drakesteyn family, left their marks. 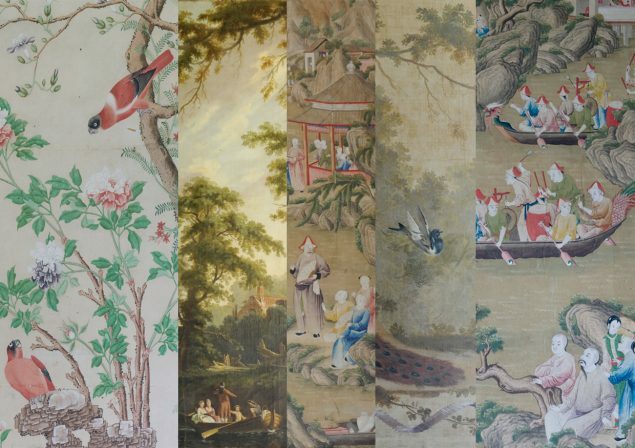 Layer upon layer: the remnants of wallpaper on the walls show a colourful diversity of 18th, 19th and 20th century styles. 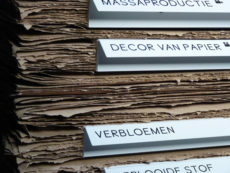 Thus, the walls of Oud Amelisweerd tell a story about its residents and their era. 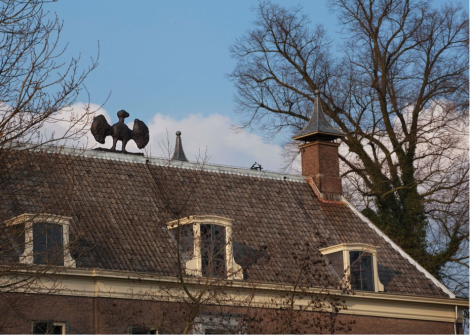 Between 2013 and 2014 the city of Utrecht – the new owner of the country house by now - and the Armando Museum added a new inhabitant to its vibrant history: the collection of Dutch artist Armando. 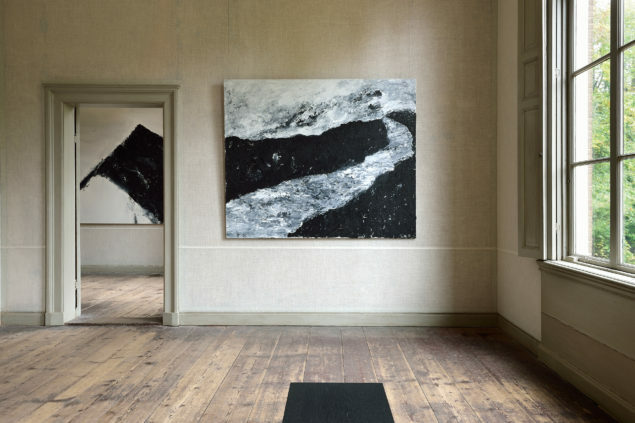 How does one combine the conservation of a monumental country home with the activities of a museum, without it leading to half-hearted compromises or undesirable concessions? Not only the apparent incongruity between the historical house and the Armando collection, but also the conservation of the vulnerable monument and its opening to the public, seem to clash. A different approach was chosen for every floor. On the ground floor the wall coverings were generally intact. They were restored to their full splendour where necessary. They provide an exciting contrast to the robust work of Armando. 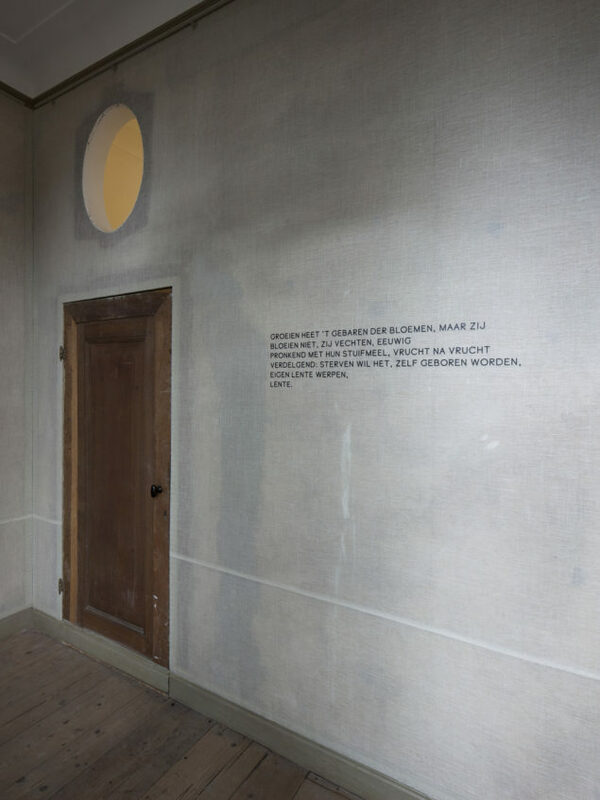 In Oud-Amelisweerd, time's stratification shows up in the layers of wall paper in the rooms. 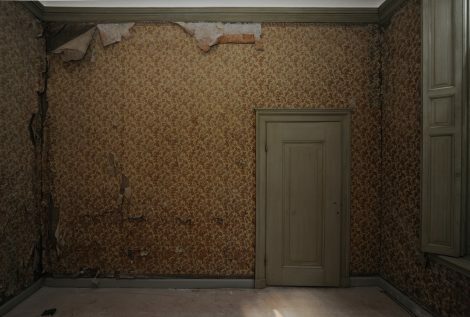 On the first floor, the wall coverings were generally damaged and removed. Scraps of wall paper still in place bear witness to the various periods of occupancy. However, the condition of these remains, and their diversity, precluded their use as a background for displaying art. Instead of reconstructing one specific layer of wall paper, we chose to leave all fragments intact and conserve them. To make the rooms fit to exhibit art, the walls have been visually unified by adding a new layer. 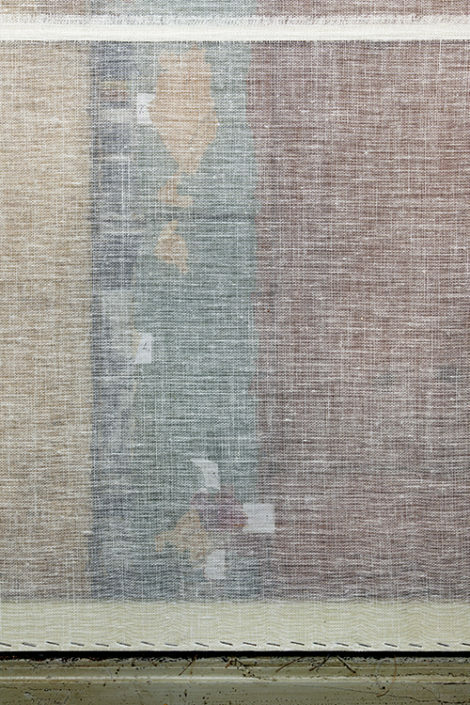 It's a transparent, stretched linen fabric, specially woven for the purpose, which refers to the base layer of the old fabrics. 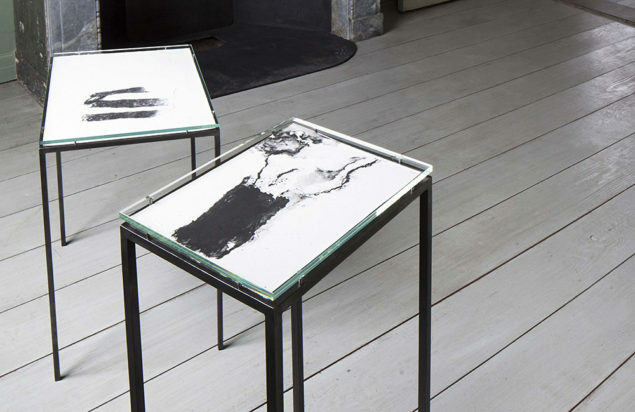 In the attic, there's a documentation centre of Armando's work and the history of the house. The entire interior here has been added as a new stratum. The marked contrast between the interior and the house underscores both of them. 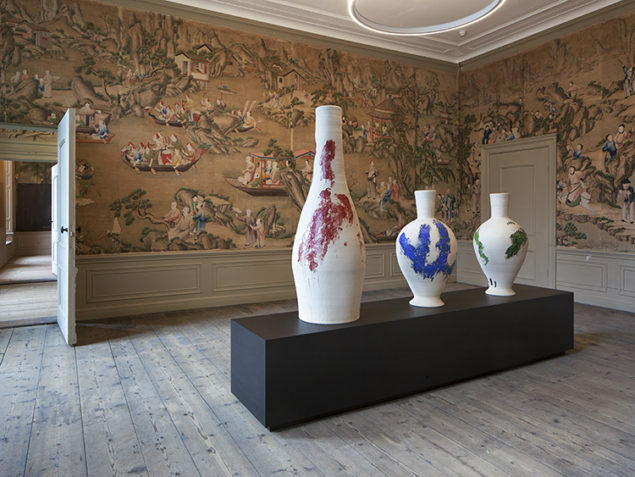 The history of the house, its inhabitants and its remarkable wall coverings can be experienced through an interactive exposition. The object in the middle of the space, which looks like it's built up of paper, has an important part to play. 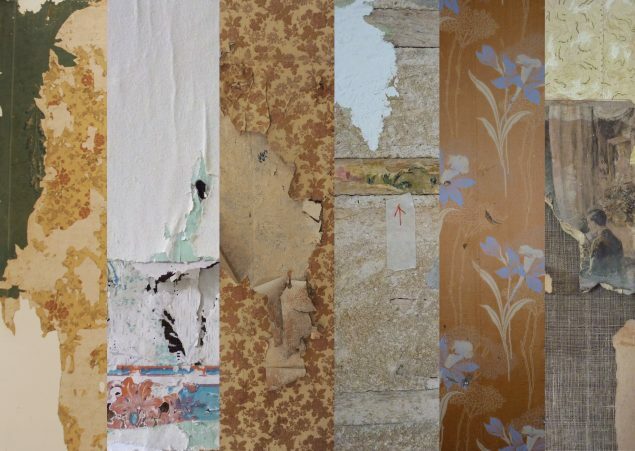 Through scraps of wall paper, the story of the ancient house and its residents is told. 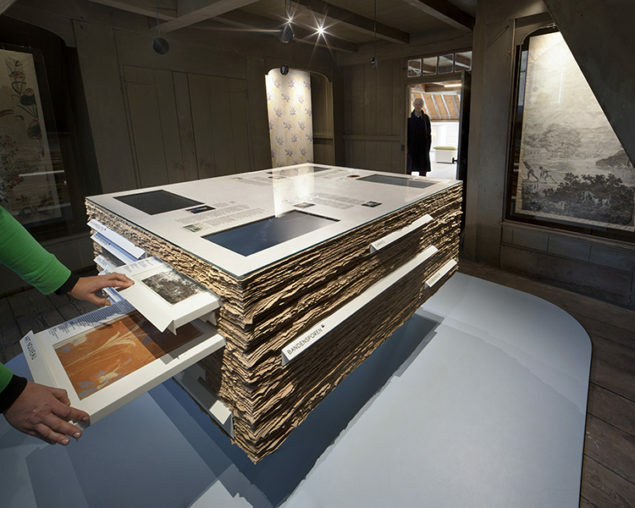 The scraps are stored in drawers which protect them against light and moisture. The opening of a drawer either sets off an animation on a screen top of the stack, or lights up a larger piece of wall paper elsewhere in the space. When country home was built in the 18th century, the enjoyment of nature took pride of place. The house's large windows and the prospects into the surrounding park bear witness to this. To protect the sensitive wall coverings against an excess of daylight, the shutters remained closed during the last decades, which spoiled the relationship with the surroundings. 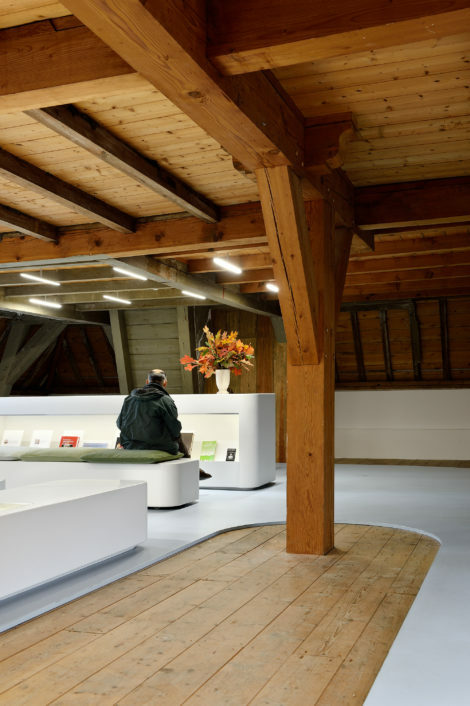 Together with lighting consultant Joost de Beij, a custom-made interactive lighting system was developed for the museum. Through continuous measuring of the outside light, the existing shutters and newly developed screens are automatically operated to control the permissible quantity of light. 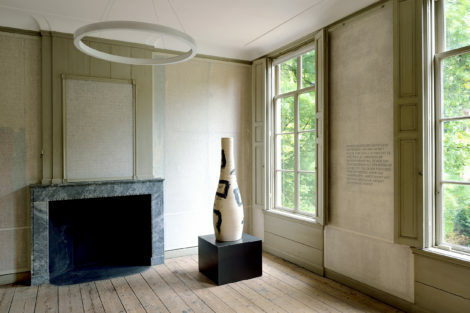 The spaces and the works of art are illuminated, as much as possible, with existing daylight. Lamps, newly designed by Soda, subtly supplement it, if and when necessary. 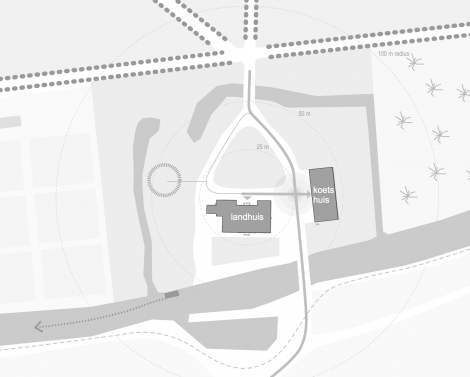 As a result, the connection with the surrounding landscape has been re-established. When Soda designs furniture, we aim for objects that are not just self-referential. The settees designed for the museum have been composed from many layers, hinting to the layered history of the house. 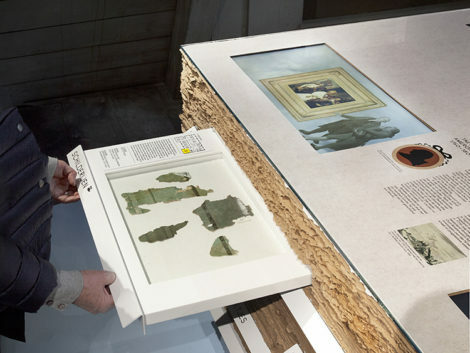 Ten thousands of visitors move through the museum annually. A stair carpet protects the wooden treads. 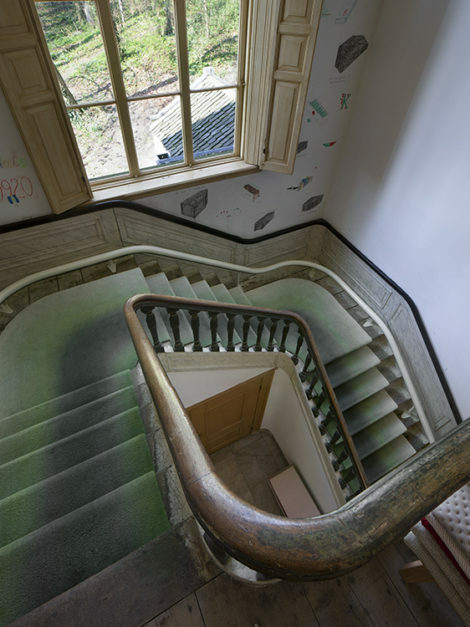 The pattern of the carpet reflects the marks of wear on the age-old stairs underneath. 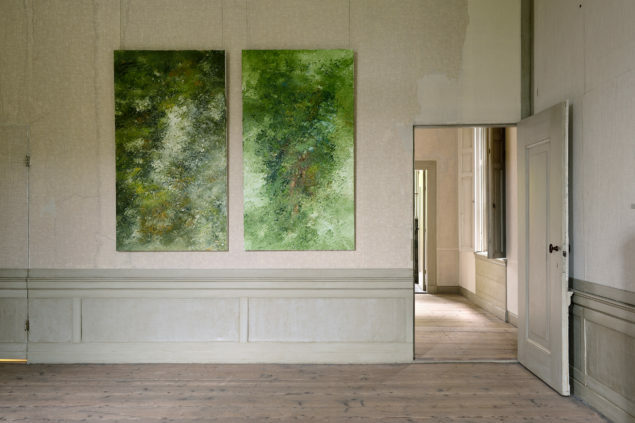 Since the first exhibition, 'Armando in the Wood', the design of the temporary exhibitions has been done by Soda too. 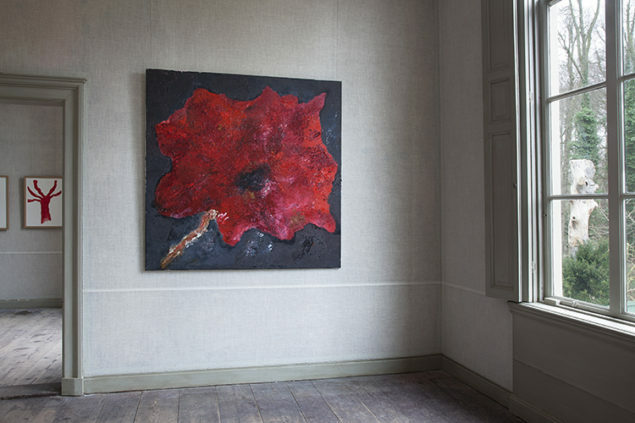 An array of bases has been developed in a measured, sober style, enhancing the dialogue between the ancient house and the works of art being exhibited. Text is an important medium for Armando. 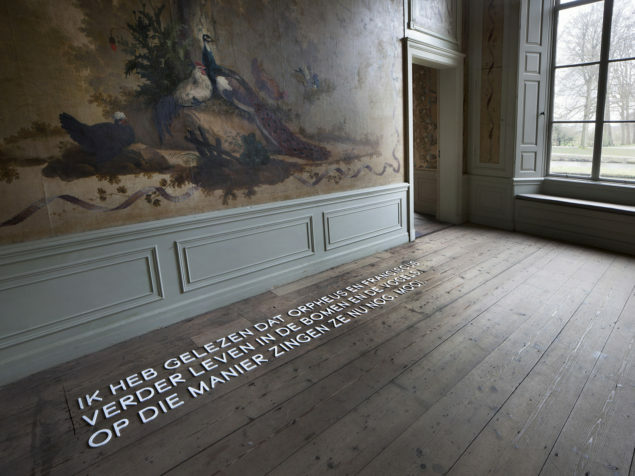 However, because it was impossible to apply texts due to the historical wall coverings, there was a challenge to see if an alternative could be developed. 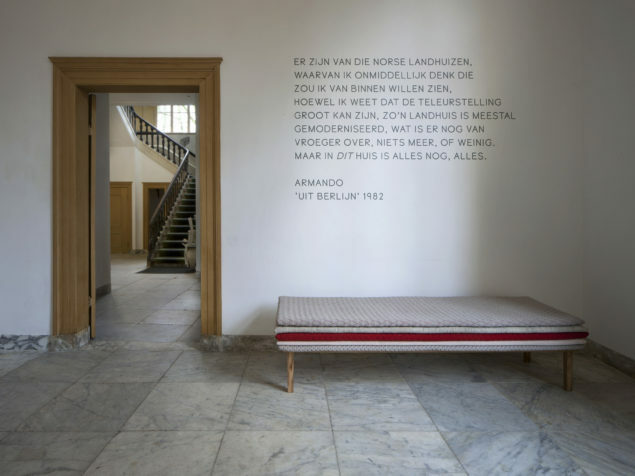 Together with graphic designer Vanessa van Dam, some variations were thought up, ranging from letters milled in tiling or in the floor to texts applied on linen fabric. 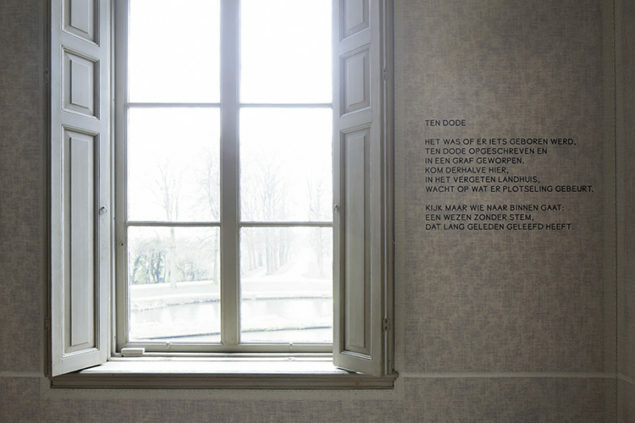 The linen fabric carries the text, resulting in a dialogue between art and monumental house. Because the main house damages easily, it was decided to have the ticket office, cafeteria and the auditorium in the coach house. 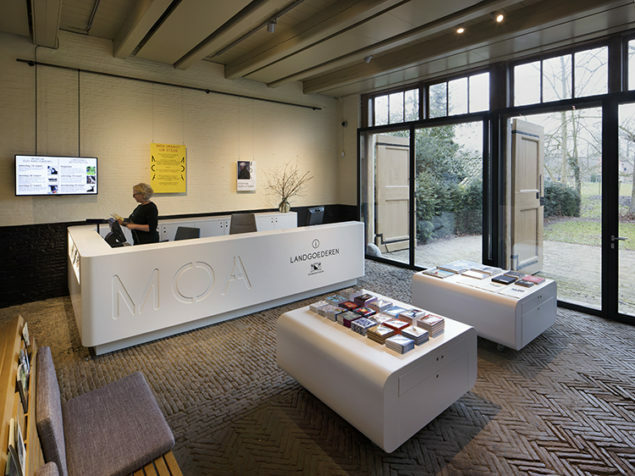 The ticket office and museum shop of Museum Oud Amelisweerd are related to the concept of the museum. 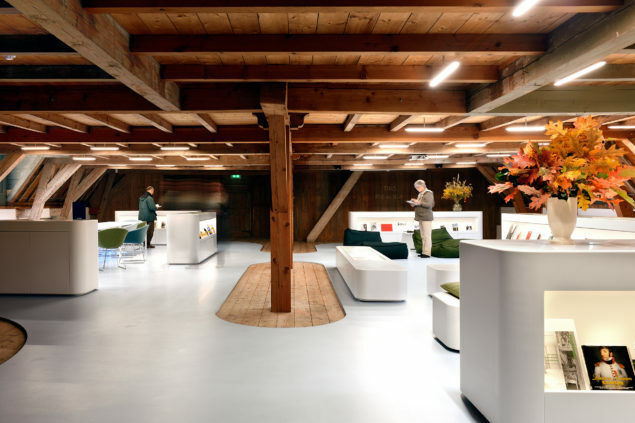 In the furniture, one recognizes the minimalistic imagery of the documentation centre in the attic. 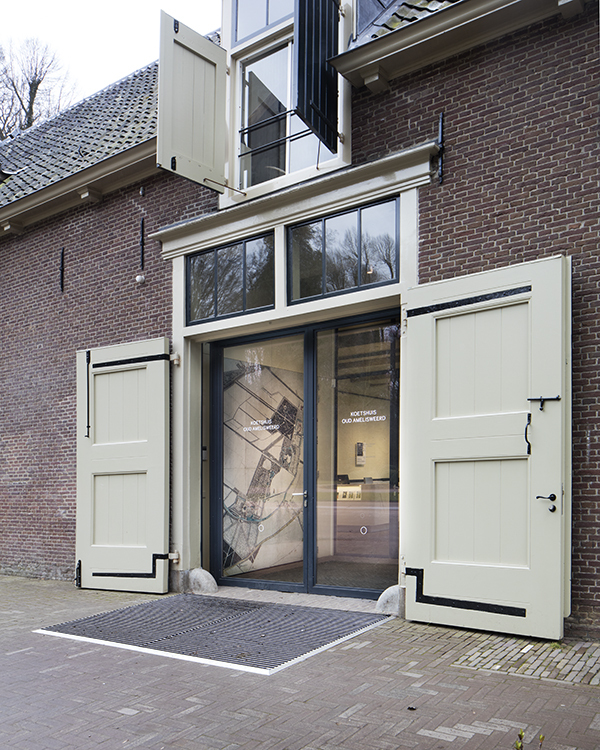 The wooden object in the doorway of the coach house (containing detailed information about the estates) has been commissioned by the City of Utrecht. It is made up of oak wood from the estates. Text by Armando has been milled in the shelving and and storage chests. When the museum shop is closed they are clearly visible. 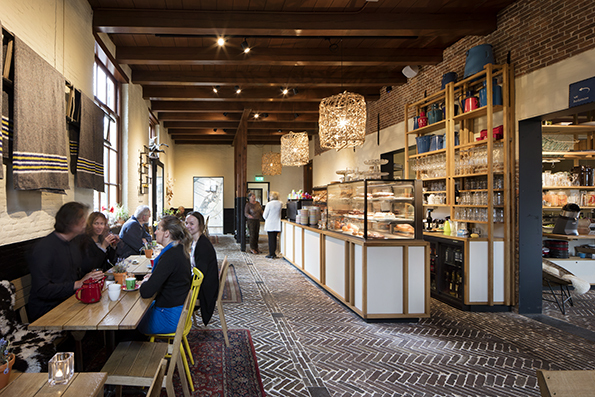 'The Field Kitchen' is the museum's cafeteria, a bakery and a slow food restaurant in the coach house of Oud Amelisweerd. 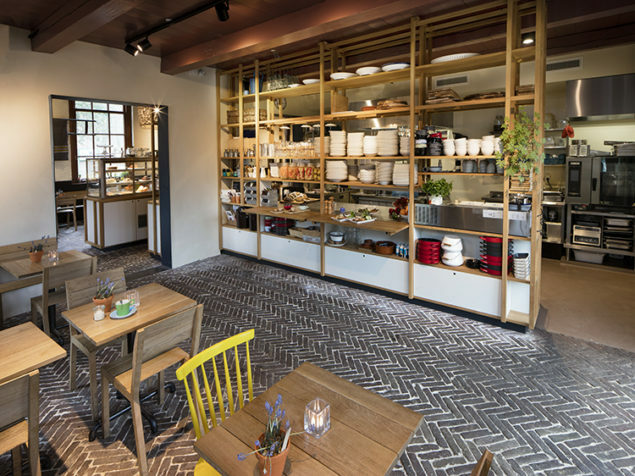 Soda developed the concept for its interior: pleasant and simple. It plays on historical details which needed to be preserved, such as the horse's fodder troughs, now used as bread bins. 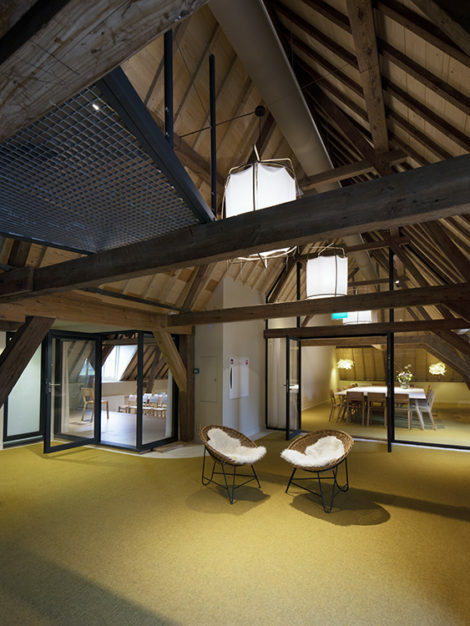 Chairs and tables were designed by Tiddo de Ruiter. 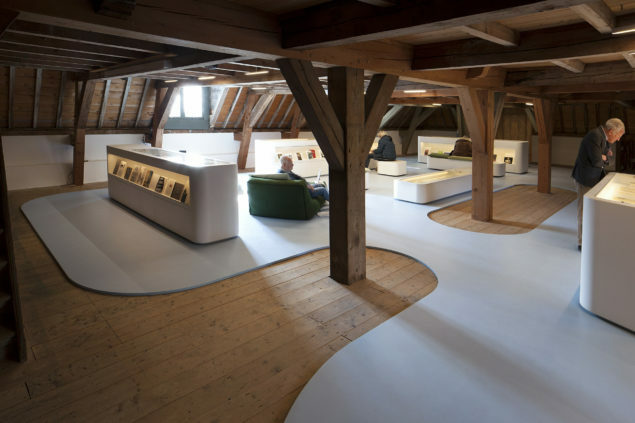 In its role as designer and project manager on behalf of the museum, Soda was involved with representatives of the Rijksgebouwendienst (Government Real Estate Agency), the municipalities of Utrecht and Bunnik and the Armando Museum. Despite many opposing views, Soda has managed to create a concept and a plan for the new museum that no one experiences as a compromise, but rather as an emulation. We also did site supervision and project management, realizing the whole project within budget.